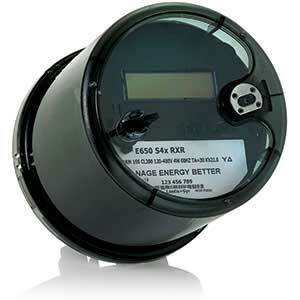 The next generation of commercial metering begins with the E650 S4x. The S4x sets a new standard for versatility right out of the box, with four quadrant measurements of active and reactive energy, load profile and TOU without a battery (when used on an AMI network). The S4x also provides the metrics utilities need at a higher resolution than most competitive meters to take full advantage of advanced grid management technologies. It comes with significantly more RAM, ROM and non-volatile memory for load profile, self-reads and event logs. The meter is available with multiple hardware options that further expands its capabilities. Raising the bar on security and tamper detection, the meter provides both tilt and vibration sensing, and a dedicated Hall Effect sensor can detect strong magnetic field presence. The S4x brings value and features together to provide industry-leading capabilities for metering critical accounts.